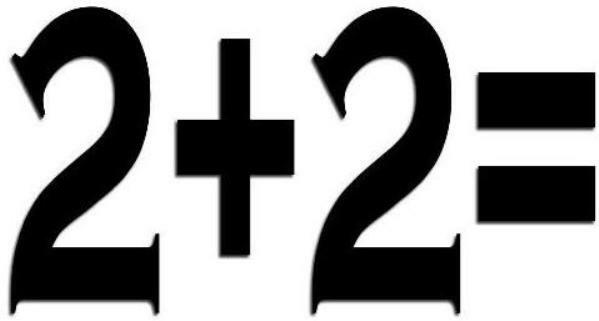 So, 2 + 2 = ?? You knew the answer all along because you mastered basic math skills back when you were a wee lass or lad. Simple operations, like addition, came right after the primary math skill: counting. Crawling, walking, talking, household pet aggravation, accurate aim in toileting (at least for boys), reading, writing, arithmetic…these are some of the skills people aspire to acquire as they grow up. These are also some of the skills that we hope our progeny develop as they grow up. And the last one, in particular, is a skill Christians need to master as we grow up. We want kids to learn to count; God wants His kids to learn to count too. Why is that? Because Christianity is not all “get”; there is a great deal of “give.” Now, let me quickly add (Ha! Get it? Add?) that this is not a “give” to earn or buy but a “give” that is a response to the lavish love of God. How do we know this is true? Why, the Bible. Jesus, in cautioning a burgeoning yet perhaps uninformed enthusiasm in Luke 14: 25-33, tries to make sure that His followers “get it”–that is, that they “get” that counting is a key element in Christ following. In that Luke passage, Jesus cautions the crowds to beware that family connections might become casualties if those in the crowd choose Him. He cautions the crowds that their very lives might be forfeit if they choose to follow Him. Count, He says! For the sake of it all, count! Jesus points to construction contractors who count to make sure they have the resources in place to finish their projects. In similar fashion, Jesus says, governmental leaders, intent on warfare, do their “battle damage estimates” before firing the first shot. This counting is not, I believe, a call to hesitation–a discipleship “speed bump” if you will–it is rather a call to “eyes wide open” discipleship. Knowing that following Jesus has some associated risk makes for more determined disciples. This is not a “Wow, that’s going to cost way too much so I’m going to back off,” message. This is a “Wow, this is important enough to mean something,” message. A hundred years ago Eleanor Porter wrote a book about how a cheerful girl changed the outlook of an entire town with her indefatigable optimism. In 1960, Walt Disney (ever the marketer of good feelings) made the novel into a film starring a teenaged Haley Mills. The book and movie: Pollyanna. By sheer force of cheer, Pollyanna rescues a town, a church, and her family from a distasteful tendency toward the dour. The film paved the way for a label that came to mean a disingenuous cheerfulness: Pollyannaism. That label, unfortunately, describes many in the believing community. It is talked about as a matter of faith: “just believe” and, to be sure, there is the highly commended, scriptural faith essential. And…if we have to lean…we should undoubtedly lean in the faith direction. But there is also this call to count…and I think it’s a call often ignored in the Christian community. Again, not the counting to avoid, but the counting to proceed with determination down the path Jesus has marked for us. Friends may indeed abandon; family may wince and walk away; treasure may be given over; reputations may be tattered; lives may be surrendered. All of them happily ceded as a result of this very basic math skill: counting. I believe Jesus wants His followers to have eyes wide open. If our eyes are not wide open, they cannot see the cost of the following. But neither can they see the joy of the following. This is a joy in the same “joy family” as Jesus’ “joy set before Him” in Hebrews 12:2. This joy came as a result of enduring the excruciating challenge of the cross and finding joy on the other side of a hard obedience. Our joy can come in a similar way; it can come on the other side of “eyes wide open” discipleship as we count the cost of following Him. This joy is not mere relief that the endurance test has passed; it is the incomprehensible delight at the things that God has prepared for those who love Him (1 Corinthians 2:9). Eyes wide open indeed. This entry was posted on Monday, August 25th, 2014 at 2:55 pm	and tagged with add, Christ, Christian living, cost, counting, discipleship, grace, hardship, Jesus, life, obedience and posted in Uncategorized. You can follow any responses to this entry through the RSS 2.0 feed.